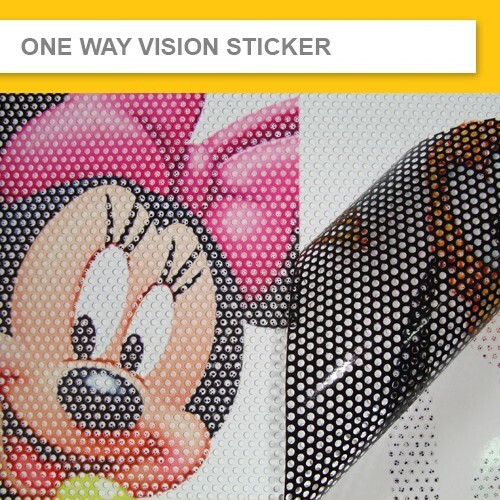 One Way Vision Sticker is a secret sticker that allow you to see through the printing from indoor, It protects your privacy while promoting your graphic advertising. 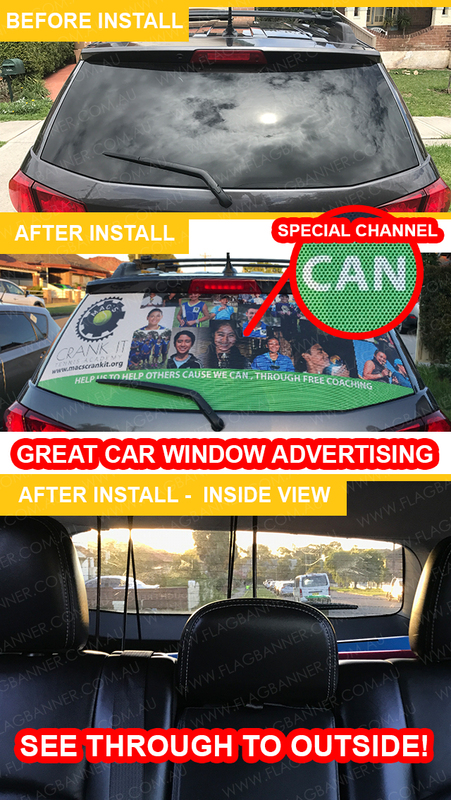 It's also a amazing window film for Bus Window Advertising and Car Real Window Adverting. We accept any custom size printing, Print size made to your glass window size or car window size. Tell us your car window size and we can get it custom printed for you. INSTALLATION SERVICE AVAILABLE FOR SYDNEY CUSTOMER. 1.Fill in your sticker size and Place your order Online. 2.Send your artworks to info@flagbanner.com.au .